From weeks 7-12 of this pregnancy I didn’t cook much at all. Like nothing. We ate out, defrosted all the freezer meals I had stored, and ate cereal. But, I’m back at it. I suppose all Tivo’d Ten Dollar Dinners and The Pioneer Woman finally got to me. It’s not that I really have the energy to cook yet, but at least the smell of something in the oven doesn’t make gag. 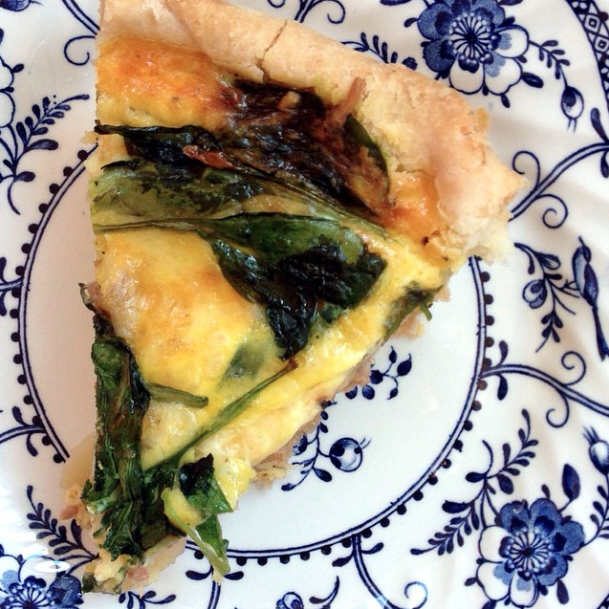 So, here’s my (more like my mama’s) EASY BREEZY FRITTATA recipe. It’s super customize-able and perfect for a quick breakfast for dinner kind of day. Combine eggs, cream, salt, and pepper. Layer cheese + your custom options in a pie dish. Bake for 35-45 minutes or until the egg mixture is set.